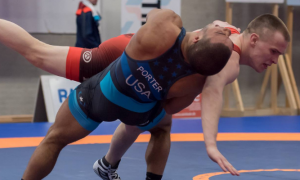 As you probably know by now, the first round opponents the three US Greco athletes will face at the 2nd OG Qualifier have been released (along with bout numbers and mat assignments). 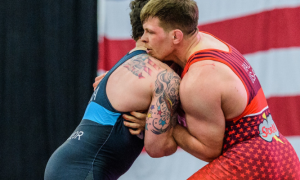 Jesse Thielke (NYAC, 59 kg) will do battle with 2012 Olympic bronze medalist Peter Modos (HUN); RaVaughn Perkins locks up with 2012 Asian Championships winner Pan Zheng (CHN); and Joe Rau meets Narek Setaghyan (ESP). 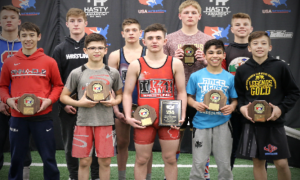 We’ve provided snapshot scouting reports of each qualification round opponent along with a brief summary on why that particular US wrestler should prevail. This isn’t reaching, either. 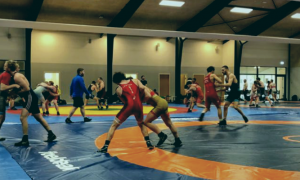 All three Greco team members have excellent shots to get the ball rolling in Istanbul right away. Scouting report: Modos might only be 28, but he’s as seasoned as it gets. His height has been an advantage, even as the weight class has increased by four kilos. Modos is not easy to get in on but at the same time, is not afraid to reach out from a distance to initiate ties. He also has a tendency to bully in and lower his head on occasion. In other words, he mixes it up according to the opposition. It might seem obvious, but his considerable reach helps him on par terre top, where he tends to snake around opponents’ waists. Modos had a memorable encounter with Hamid Soryan at the 2012 Olympics, where he continuously tried to frustrate the Iranian inside by lowering his head and going to work inside. The problem for him in that match was that he left his arms out too wide, which allowed Soryan to dictate control. Soryan would go on to capture gold later on. Thielke may not be as tall or quite as rangy, but what he has working for him here is both speed and scrambling ability. Modos is a pretty good scrambler in his own right, but is not as intuitive or multi-dimensional as his American counterpart. Thielke is also faster inside. 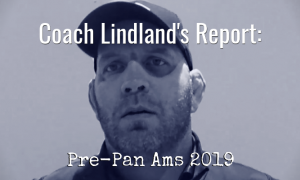 Should he be able to set up his ducks to high-dives/bodylocks, there will be scoring opportunities staring him in the face – literally. This might be a tough first-round opponent in a tournament like this but you have to beat them all anyway, and Thielke definitely has the tools to do so. Scouting report: Pan Zheng is a game professional and has remained as one of China’s top entrants in this weight class along with Shihu Wang, but it is Zheng who they’re going with here. Every so often Zheng has gone up to 74 kg, which he can get away with simply because he sports a tank-like lower body and is plenty strong up-top. And like a lot of Asian wrestlers, Zheng is keen to work angles for two-on-ones and the like as he searches for openings. He isn’t a dynamic offensive machine, but that probably says more about the state of the sport than his own desires. Zheng constantly tries to work. He has two go-to’s in par terre: a straddle gut and a regular gut. He’s more apt to try to lift as a 66’er than he was on his jaunts up a weight. Zheng didn’t fare all that well in the Asian OG Qualifier in March, where he lost to Omid Haji Noroozi (IRI) in the quarters 9-6 in what was one of the more entertaining bouts in that bracket. While Zheng has all the makings of a “wrestler’s wrestler”, he is also not a speeding bullet. He’s a bit more on the deliberate side. That isn’t to take anything away from his skill-set. But in terms of physical gifts alone, Perkins is heads and shoulders above him (no pun intended). The Perkins we’ve seen over the last month is a competitor who is blindingly quick and proactive. He’ll need to be versus Zheng and he likely knows it. We use the word “if” a lot when it comes to measuring match-ups, but if Perk is unafraid to go big and if he can scramble out of any serious trouble, this is an opponent he should be able to handle. Scouting report: Maybe not a household name, Setaghyan has actually made appearances on US soil, most notably at the Schultz and the Kiki Cup some years back. What you get with this guy is a good amount of size. 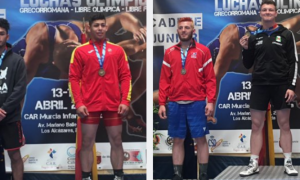 There are plenty of 98 kg Greco wrestlers out there built like NFL safeties and Setaghyan fits that mold. He’s athletic enough and seemingly strong enough to be a viable opponent, but lacks a consistent in-fighting attack. If Setaghyan finds tie-up positions, he is probably more of a clamper than anything else. 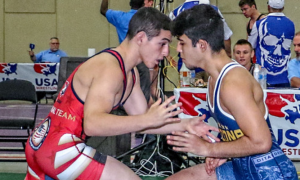 One of Setaghyan’s biggest weaknesses is that he hawks down. To be fair, there isn’t a giant sample size to go on, but Setaghyan is more likely to lower his level by bowing his back than he is to bend his knees and adjust his hips. This leaves him wide open for someone with Rau’s kind of arsenal. The thing is, Rau can’t wait for this guy to come to him. He will probably have more success initiating and then re-directing with his counters. Plain and simple, this is an opponent Rau can mow through if he is on point. That doesn’t mean there won’t be tension in the match, as anticipation is likely the order of the day. 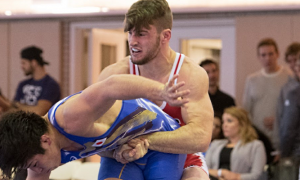 Those intangibles notwithstanding, Setaghyan might have his own thing going for him, but a motivated Rau should be too much for the Spaniard to deal with.